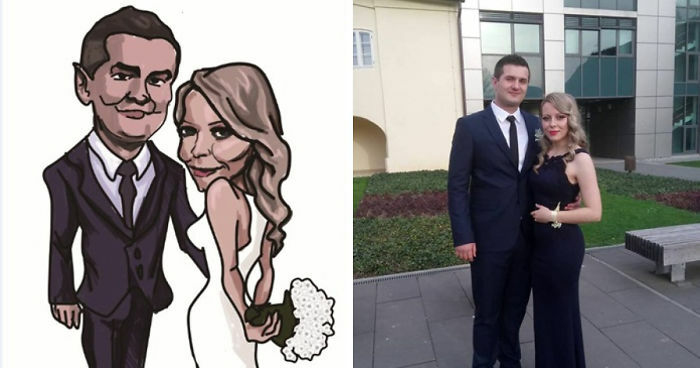 I do all kind of caricatures with lots of themes like graduation, wedding, hobbies, sports, travel and etc. They are always unique and personal, just as a customer wants it and it is beautiful as a gift for every occasion. All you have to do is send me a face photograph of a person that will be on caricature. All people on these photographs gave me permission to upload their personal photographs but you don't have to; it's optional. Enjoy! I'm a painter and mag. of Visual Culture from Croatia, artist who have the keen interest on making some beautiful fictional characters in digital art department. I'm doing hand - painted digital illustrations,commissions, portraits and figures of people, cartoons for all occasions and much more! They are caricatures, it should look weird. I'm not even mad :P It's my style. It's because the face is taken from the original pictures and edited (either with an app or by hand) to look as a drawing, while the rest of the body seems to be drawn on top. The description would be more accurate if it would say :" I transform portraits Into caricatures/cartoons"
It's all drawn by hand, I draw on graphic tablet Wacom Intuos Pro and I'm using Manga Studio 5 to draw in. 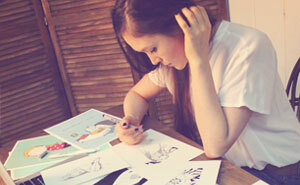 It not ''look like a drawing'' it is drawing, illustration actually.